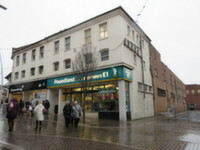 Large prime retail unit in Barrow town centre. 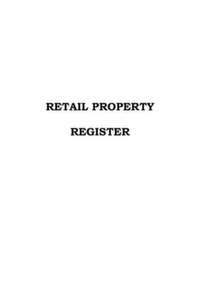 The premises comprise a traditional mid terraced retail unit providing ground floor sales area, first floor sales and ancillary accommodation. The ground floor is largely rectangular and open plan and benefits from an extensive glazed frontage. An integral stairwell from the sales area provides access to the first floor, as well as a further stairwell to the rear provides access to the ancillary areas. The property is suitable for a variety of A1, A2, A3, A4 and A5 uses, subject to planning. 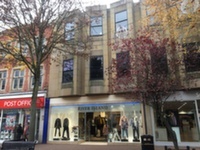 An attractive retail unit at the heart of Barrow town centre. Lying in a prominent corner trading location on Dalton Road and Buccleuch Street. The unit benefits from a regular shaped trading area, basement stores, staff and customer wc's and an extensive glazed frontage with return window. Subject to possession, the property will be available To Let on a new lease for a term of year to be agreed. 3 prominent retail units available in shell condition, ready to receive tenants fitting out works. 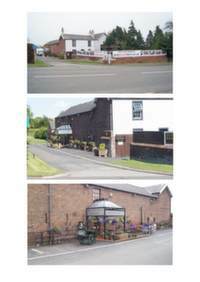 Adjacent to Tesco Express and fronting a busy arterial route leading through the town. The railway station and surfaced pay and display car parking are close at hand. Subject to possession, available on a new lease for a term of years to be agreed. Terms: Rent: £22,500 p.a. exclusive. Terms: Rent: First Floor £3,250 p.a. 2/4 English Street is prominently positioned at the heart of Carlisle’s main shopping pitch. Part of the Crown & Mitre Estate, the unit sits opposite the main entrance to Primark and is surrounded by national retailers including Topshop, Specsavers, Sharps Bedrooms and Costa. This is an attractive double fronted unit with extensive glazed frontage, surrounding timber fascia and rectangular floor plate. Suitable for a variety of uses, subject to planning. Available To Let on a new effectively full repairing and insuring lease by way of service charge for a term of years to be greed. Available TO LET on a new full repairing and insuring lease, subject to possession, for a term of years to be greed. Opportunity to acquire or lease a substantial premises located close to the city centre. The property provides warehouse, showroom, office and car park facilities and is suitable for a variety of uses subject to planning. Nearby occupiers in the vicinity include: Carpetways, Hertz and Autoglass. Alternatively a sale of the freehold interest would be considered. Interested parties should contact the agent directly for further information. Following a sub division, 100% BUSINESS RATES RELIEF may be attainable for qualifying occupiers. An exciting opportunity in Carlisle to acquire a prominent roadside building comprising an attractive fitted out ground floor retail unit and self-contained first floor one bedroom residential flat. The property has most recently been owner occupied and utilised as a hair and beauty salon but would be suitable for a variety of commercial uses, subject to planning. The fit out to the sales area is of a high standard and provides an open plan area over two tiered levels with three smaller treatment rooms created towards the rear. In addition, a staff kitchen and WCs are installed. The residential element benefits from a long-standing tenant and is income producing at a rent of £4,200 per annum. Externally, adequate roadside parking is available. Planning has now been secured for this 42,300 sq ft Bulky Goods Retail Scheme. Unit 4 provides largely open plan storage/ workshop space with a reception/ office to the front and staff WC to the rear. Available on a Sale or TO LET basis. 58-62 Scotch Street lies in a prime trading position and is highly visible and benefits from immediate proximity to popular nearby occupiers including McDonalds, Foot Asylum, EE, O2, Costa and New Look. The Lanes Shopping Centre is immediately opposite. The unit comprises a three storey mid terraced unit providing an extensive double glazed frontage and DDA access. Internally the accommodation has an open plan sales area of reasonably regular shape at ground floor level with integral staff room / office. A further retail area is provided to the first floor which is also of a regular shape plus storage and staff ancillary areas. Additional storage areas are throughout the second floor. Terms: Available TO LET by way of a new full repairing and insuring lease for a term of years to be agreed, subject to a surrender of the existing lease to the current tenant.